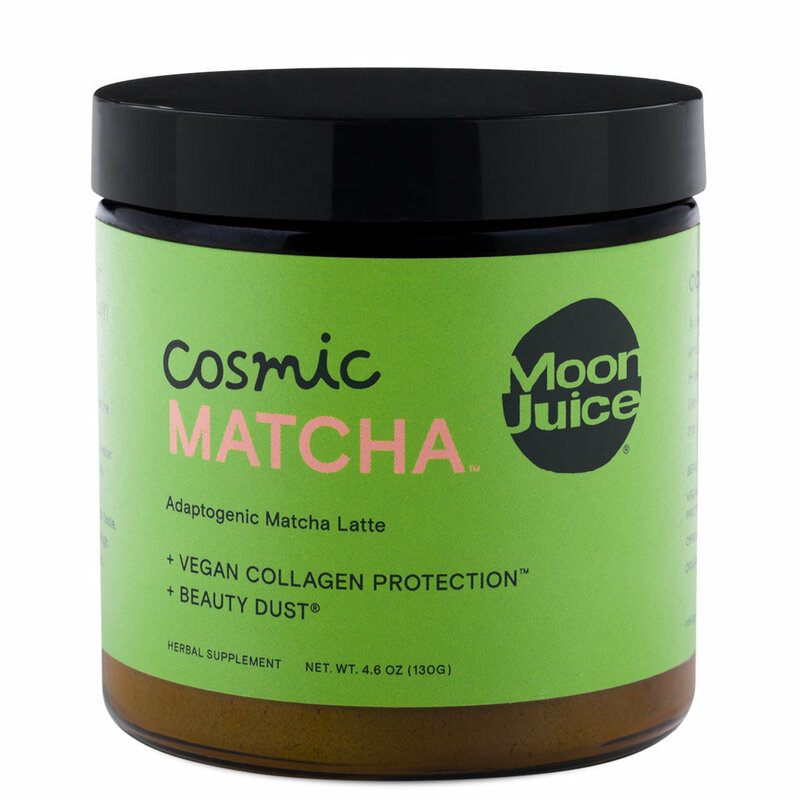 An energizing and beautifying Matcha latte. Tocos and Silver Ear Mushroom nourish skin, edible Hyaluronic Acid draws in moisture, and adaptogens like Schisandra, Ashwagandha, and Amla target the effects of stress. Add 2 tbsp to 8 oz of hot water or warm milk. Sweeten to taste. Blend on high.